The following is an opinion article from Guidewire. The views expressed within the article are not necessarily reflective of those of Insurance Business. Generation Rent are today’s young adults, a Millennial subset, who are more likely to be living in rented accommodation than own their own home. According to UK government figures the proportion of people living in the private rented sector has doubled since 2000 and just 26% of those aged 20-39 will own their own home by 2025. With more people expecting to live longer in rented accommodation, how should insurers respond to a new generation of customers? That was the question we wanted to explore when we surveyed one thousand young adults from Generation Rent. The results offer real food for thought for the insurance industry, some of it perhaps a little hard to digest. The top line finding is that Generation Rent typically does not have any contents insurance at all. 60% of young renters aged 20-30 have no insurance, despite a majority saying they had suffered a loss while uninsured (55%). In countries where renting is ingrained in the culture, the reverse is true. For example, in a parallel survey we commissioned, 66% of Germans of the same age group told us they do have contents insurance. So, why is Generation Rent UK so reluctant to insure? To start with, there is some sign of real confusion and misunderstanding. 65% told us they were not sure who is responsible for insuring their rental property – the landlord or them. 28% said insurers do not understand their needs or offer the right products for renters, and 42% simply did not know much about their insurance options. This is also a financially stretched generation. An Aviva study identified that 37% of Millennials regret having gone to university, as they struggle with debts and squeezed finance. Our research confirmed that cost was the number one factor in not buying contents insurance. Yet there is hope for the insurance industry. 48% of respondents disagreed with the statement that, “Buying insurance is throwing your money away,” while only 22% agreed. Insurance is not entirely lost on this generation, even if they seem to believe it is not always affordable for them. Helping younger renters develop an insurance habit is not an impossible goal given how the younger renters in other countries do buy contents insurance. In considering strategies to increase the purchase of insurance, it is essential to consider how much Generation Rent, as digital natives, buy products and services in different ways to their parents. It is extremely important to engage with them in ways they feel most comfortable. Using digital channels is an obvious route, but it is also critical to understand that Generation Rent do not discriminate between communication channels. They value both authentic human interaction, as well as being able to self-service their insurance needs online. Education has a part to play too, and a perception of contents insurance costing too much, or being inappropriate or irrelevant, has to be corrected. 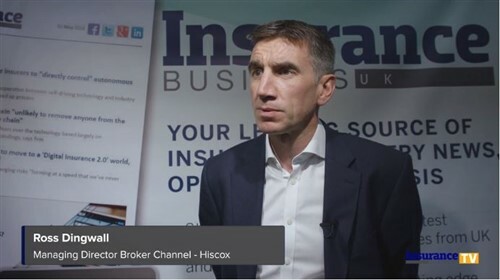 Insurers need to articulate effectively the practical worth and benefits of contents insurance. New business models that allow Generation Rent to tailor the scope, duration and cost of their insurance may help communicate the real value that insurance provides. Some insurers are already offering new, flexible digital models. BackMeUp is a good example where the carrier, Ageas, provides insurance products on a monthly basis for a small number of specified items; no annual contract, all-in-one cover by simple photo upload, and no cancellation fees. AXA is in partnership with Trov, providing on-demand insurance for any items that are important to people for the timeframe they want, and with easy access and maintenance, through their digital devices. Our research identifies a clear challenge for insurers. Young renters may not understand the value of insurance, or prioritise it like their parents. They may say they cannot afford it either, but the reality is they cannot afford not to have it. This presents opportunity, too. Those insurers who listen well and respond to Generation Rent, flexibly and appropriately, will succeed in attracting and holding a significant, new customer base now, and in the future. The preceding was an opinion article from Guidewire. The views expressed within the article are not necessarily reflective of those of Insurance Business.